It's been quite some time since we played host to this beautiful Kawasaki W650 but we were recently lucky when its owner brought the old girl in for a couple cosmetic tweaks and refinements including heat wrapping the exhaust, some new bars and a dirty big set of Firestones. 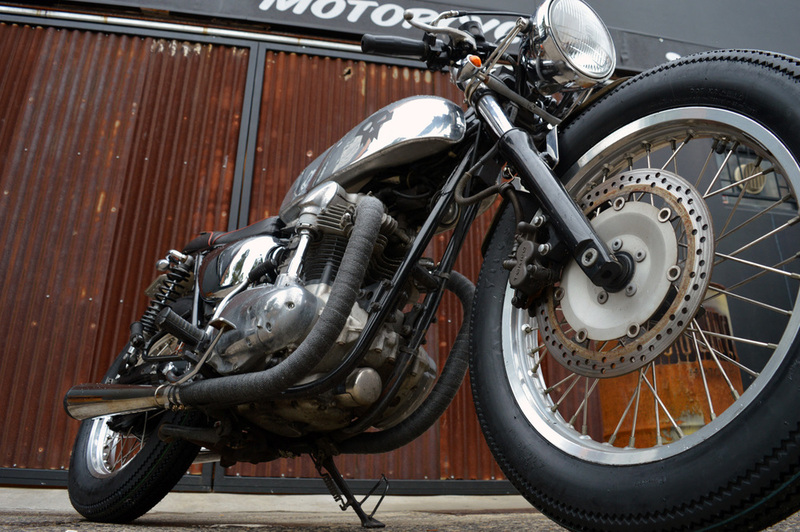 Protip: This is the very same W650 as featured in the background image on our homepage. Older PostGetting stuck in to 2016.